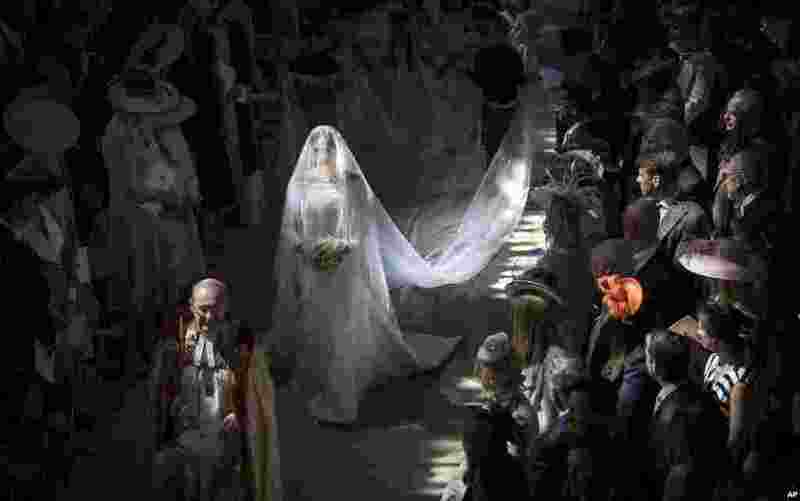 ٦ Meghan Markle walks down the aisle as she arrives for the wedding ceremony at St. George's Chapel in Windsor Castle in Windsor, near London, May 19, 2018. 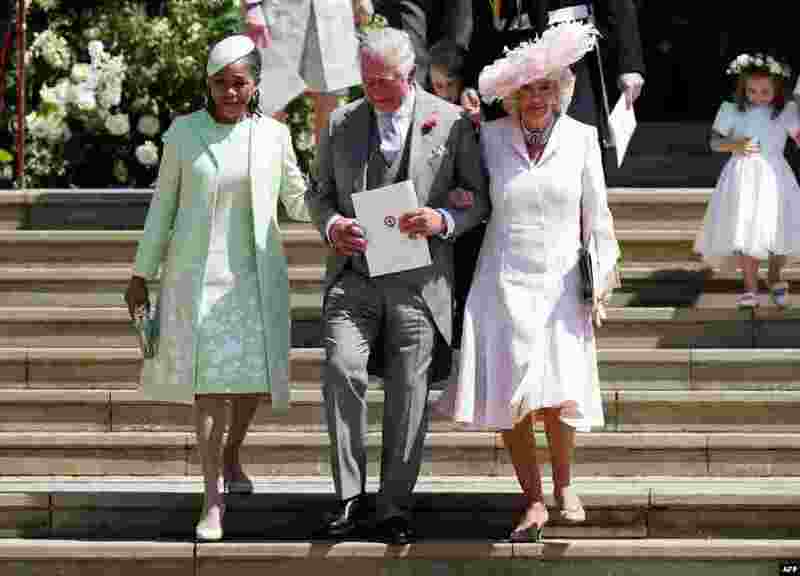 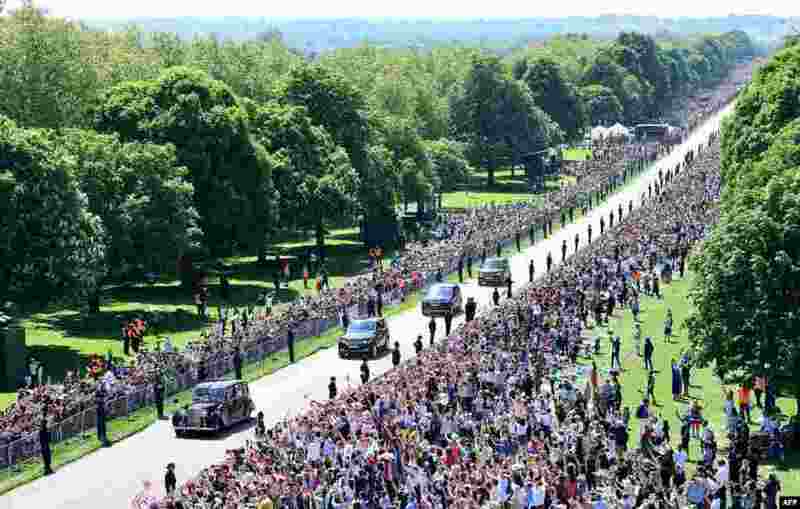 ٧ Meghan Markle and her mother, Doria Ragland, are driven along the Long Walk as they arrive for her wedding ceremony to marry Britain's Prince Harry, Duke of Sussex, at St George's Chapel, Windsor Castle, in Windsor, May 19, 2018. 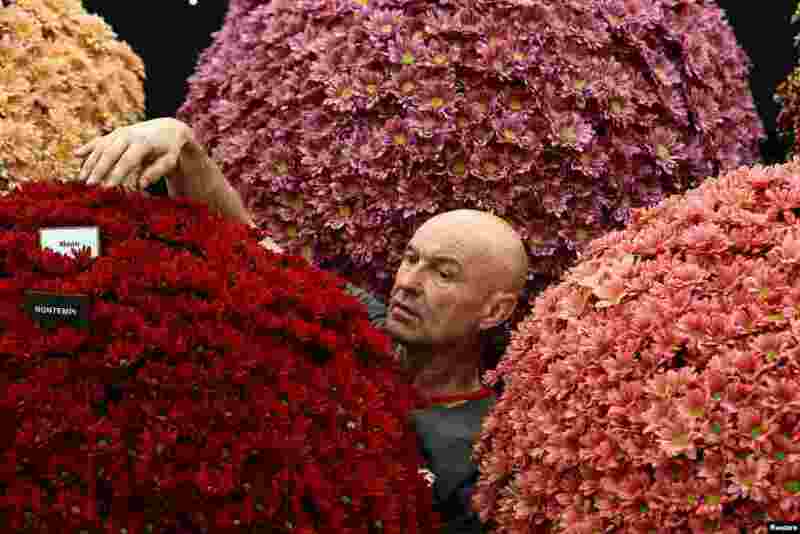 ٨ A worker adjusts chrysanthemums on a display as he prepares for the RHS Chelsea Flower Show in London, Britain.